The 5.5-inch X5 Max smartphone is less than 0.19 inches thick and runs a custom Android 4.4 KitKat version called "Funtouch OS" on top of competitive mid-range hardware. 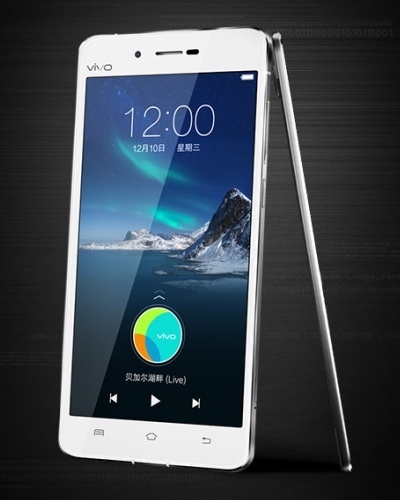 Emerging smartphone maker Vivo launched today the 5.5-inch X5 Max in China. 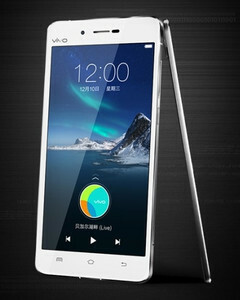 This handset is allegedly the world's thinnest smartphone, measuring less than 0.19 inches - 4.75 mm, to be more accurate. While it may not be considered a high-end device, the X5 Max offers an excellent set of specs and features for a mid-range Android smartphone. According to GizChina, the Vivo X5 Max is also the world's first Android smartphone that offers real-time vocal reverb sound, thanks to the Yamaha YSS-205X sound chip. The handset will sell in China for roughly $490 USD and is expected to reach other Asian markets later this month as well. Worldwide availability and pricing are unknown for now, but we will keep an eye on this smartphone and report the news as soon as it comes out.